This post is about another favourite drink of mine – Assam tea. While on travel or staying abroad, always choose the option of Black tea or black coffee. 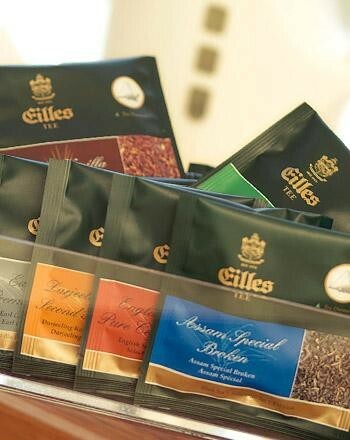 One such trip introduced me to this particular variety of Assam Tea – from the house of Eilles. Found this brand of Assam tea in Frankfurt Airport at Goethe Bar. This is truly a heaven sent drink and very refreshing when tired from a travel. It was the first time I also came to know about Pyramid Shaped tea-bag. Pyramid bags are made from nylon strands that are woven into a small net-like mesh, creating holes in the bag much larger than conventional paper bags. These larger holes allow for water to come in contact with more of the tea’s surface area, thus releasing more essential oils and character into the cup. 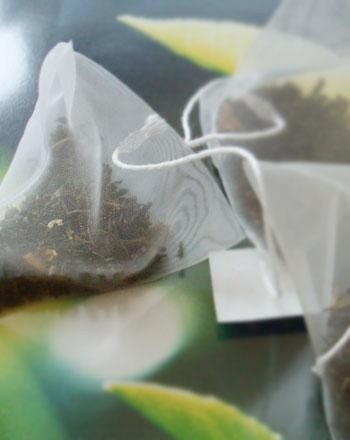 The unique triangular structure of these bags allows for the tea to move around freely inside. When the tea comes into contact with hot water the leaves naturally move in circles as they heat and cool. This freedom of motion makes a pyramid bag functionally the same as a larger cup or loose leaf infuser, making the high-quality flavor of loose leaf tea conveniently available in a pouch that anyone can brew. Every time I get a chance to drink black tea, my choice would be Assam Tea. But of the different varieties that I have drunk, this brand tops my list and second to top would be from TeeKanne. If in India, choice would be Assam Tea from Nilgiris.